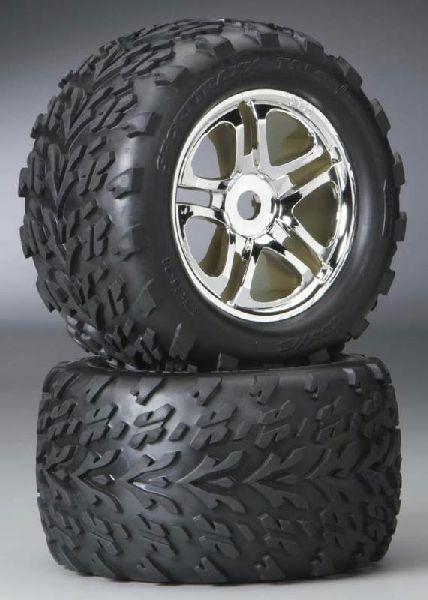 These are TRA5174R a set of 3.8" Mounted 5-Split Spoke Wheels and Tires for the Traxxas Revo 3.3. Please continue checking back, pricing and availability are subject to change. Additional information will be amended when it becomes available. Thank you! Por favor, continue revise de nuevo, precios y disponibilidad estan sujetas a cambios. Informacion adicional se modificara cuando este disponible. Gracias.